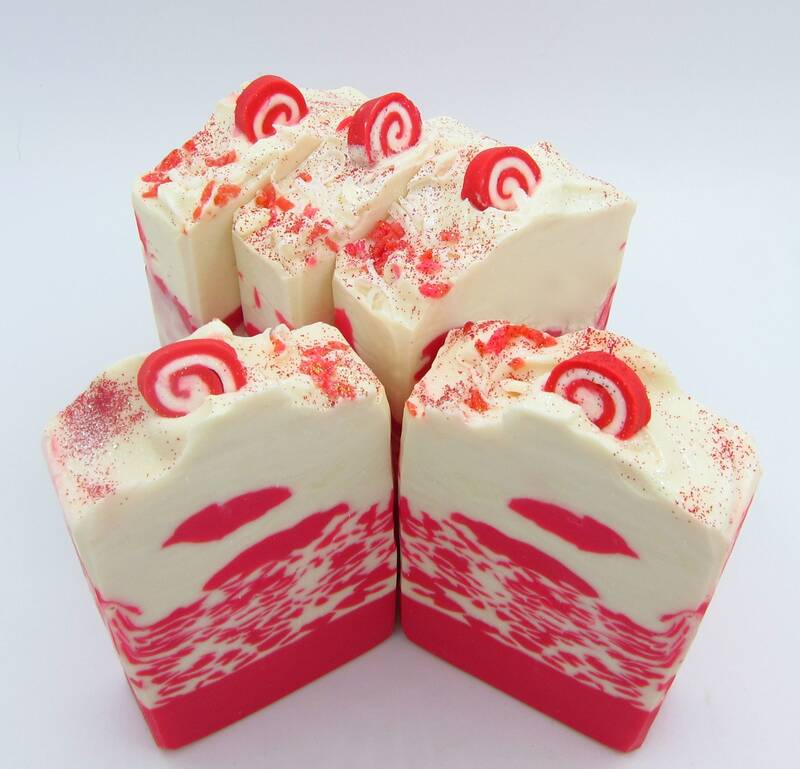 Fragranced with the crisp, clean and invigorating scent of peppermint essential oil, this beautiful soap is sure to put a smile on your face every time you take a shower! Made with mango butter, kaolin clay, and skin loving oils. 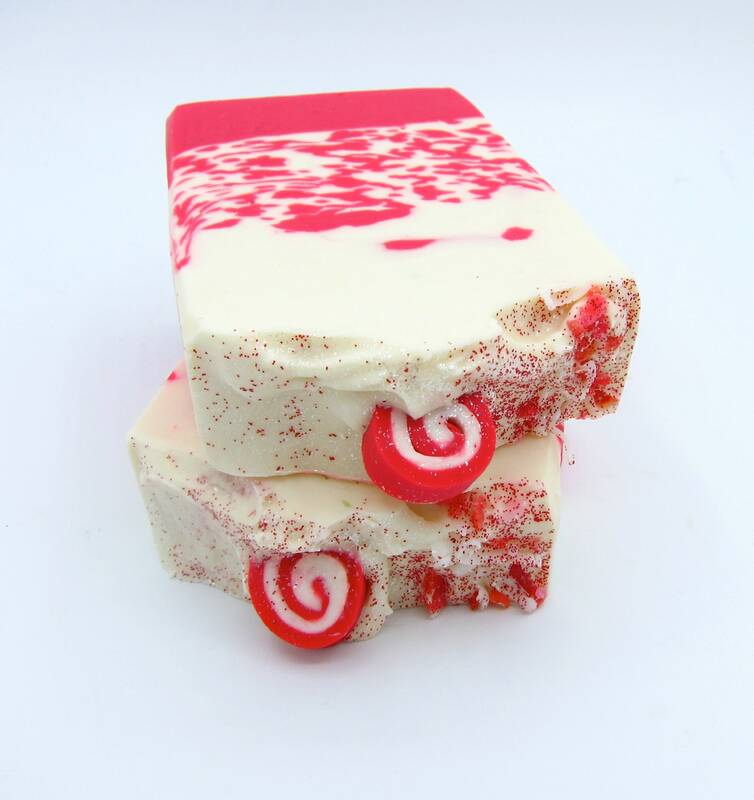 This listing is for one large bar of handcrafted soap that weighs around 4.5-5 oz. and measures approximately 4x2.5x1 inches. Ingredients: cottonseed, coconut, palm, sunflower, sweet almond, neem, babassu and castor oils, mango butter, sodium hydroxide, peppermint essential oil, kaolin clay, mica for color. This smells so yummy & is so cute. 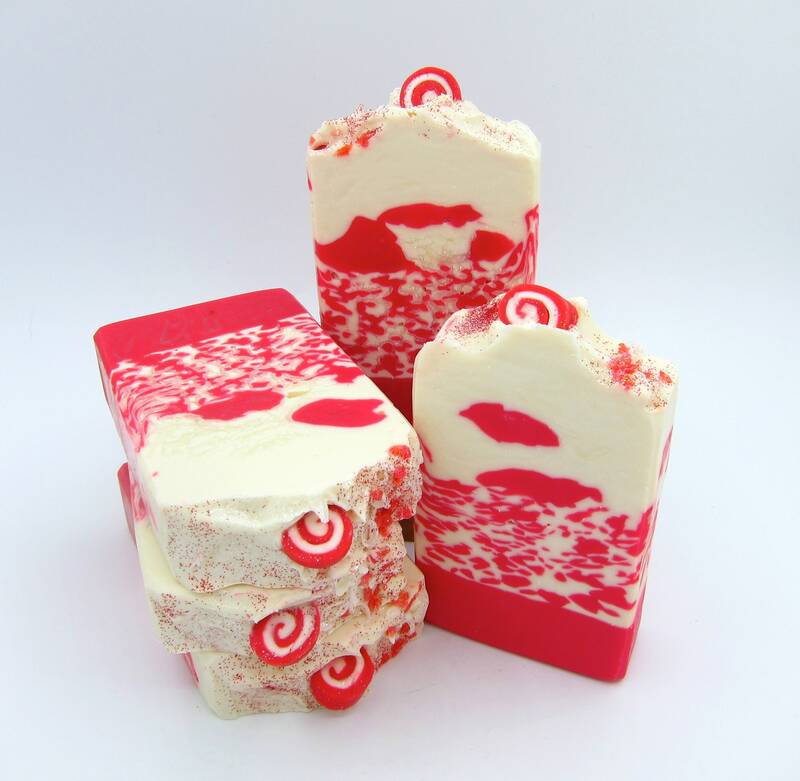 The soaps from this seller always look exactly as pictured & smell as described. Since I've bought so many soaps from this seller at one time, I haven't been able to use this one yet, but all of the other soaps of this seller that I've used so far have lathered well & lasted about a month, so I'm expecting the same from this one. The shipping was very fast, & I love the sample soaps the seller sends with my purchases. I also appreciate the freebie bath bomb she sent me with this purchase.